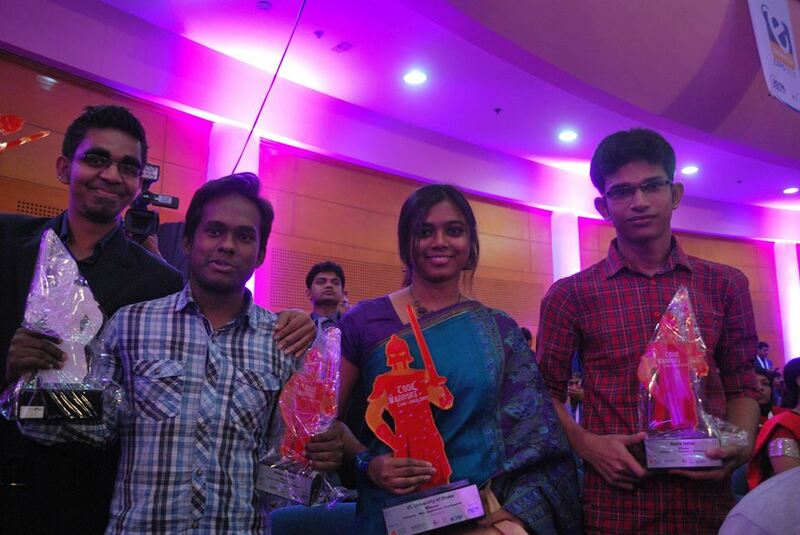 IIT, University of Dhaka Team, consisting of Nadia Nahar, Anowarul Kabir Anik, A.S. Rifat and Rashed Rubby Riyadh participated in Code Warriors' Challenge 2015 and dominated in both preliminary and final round. They became the champion in Web Applications track in .NET platform. 123 teams from University and Companies participated in Code Warriors' Challenge 2015. There were two tracks in this competition, Web Application (based on PHP, .NET or Java) and Mobile Application (Android, iOS or Windows Phone).